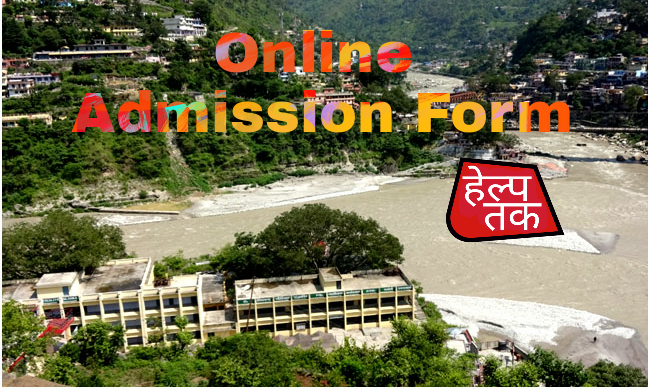 HNBGU Admission Form / Karanpryag College Admission Form Website: Hello Students, Karanpryag pg college Admission form for BA/B.se/B.com/M.A/M.Sc/M. 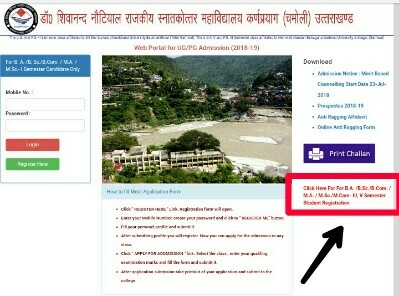 Dr. Shivanand Nautiyal Government PG College ke form aap online website par aasani se bhar sakte hai iske liye aapko pg college karanprayg ki official website par visit karna hai jo mai aapko niche post mai provide karne wala hu aap waha se pg college kpg ki website par jakar apna admission form fill kar sakte hai. Dr. Shivanand Nautiyal Government PG College Karanpryag is established in 1979. The PG College is Located in Pokhri Road, Devtoli Karapryag which is the district of chamoli. The university offered the BA/B.se/B.com/M.A/M.Sc/M.Com. Every year many students are pass out from this college. Karanpryag Degree College nearby College is Government Degree College Gopeshwar its also provide these graduation courses. 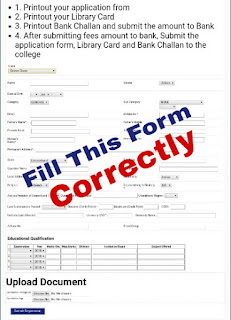 The student who want to fill the admission form visit the official website of karanpryag pg college online.gpgckaranpryag.com in this article we provide easy steps how to fill the online admission form. 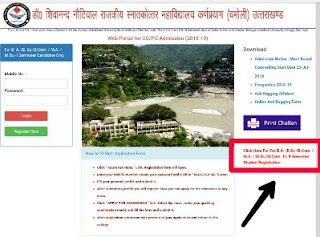 Dr. Shivanand Nautiyal Government PG College Karanpryag is top unversity of chamoli district, the student who are filling online admission form for BA/B.se/B.com/M.A/M.Sc/M.Com follow these Steps. ➤ Now fill your form with your correct details and attaches your scanned pass photographs or signature candidate sign. and image size should not be grater than 50KB. ➤ Now click on a Submit Registration button after filling form completely. 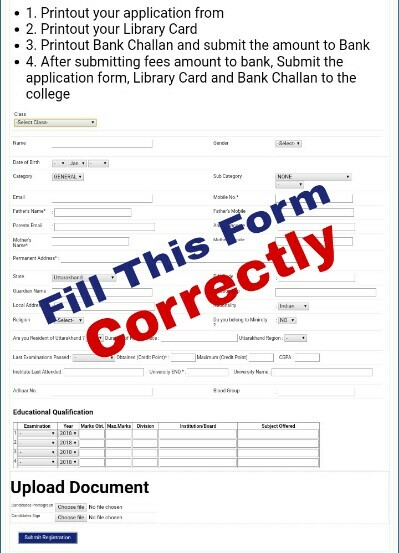 ➤ Now download your Application Form Detail, Print Challan and Library Card PDF. You submit your fee on Punjab National Bank, dont forget to print your bank challan. if you have any question about karanpryag college admission then drop your problem on comment box. Your query will be solved as soon as possible.